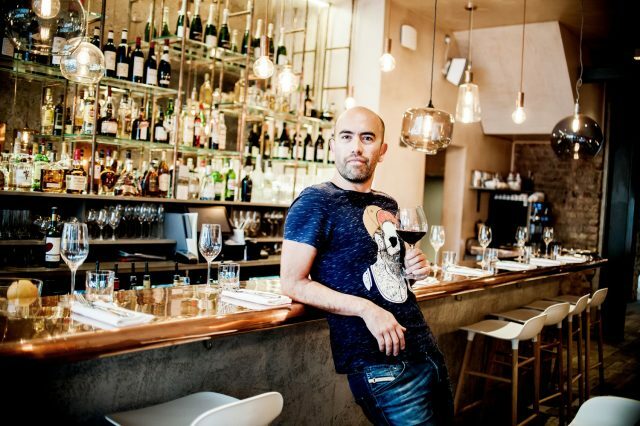 TV wine presenter and founder of Wine Training, Raul Diaz, says that the demand for formal wine courses in London is booming, and it’s a great sign for the trade. During an interview with the drinks business last week, Diaz, who runs a WSET-accredited wine school at the Corinthia Hotel in London, said that he had witnessed a 25% increase in bookings through his company, describing the demand for drinks courses as “very strong”. Looking back over his career in the London wine trade, he recorded a change among consumers in the capital over the past decade, which was encouraging more people to take formal wine courses, such as the WSET Units 2 and 3. “One huge different in the last 10 years is the fact that wine has taken greater significance in people’s lives, because, rather than go out to eat, they tend to stay in and entertain at home, and they want to enjoy wine in a social way, and explore wine with their friends at home,” he said. He also told db that he believed his wine school offered a particular appeal for professionals, such as lawyers and accountants, because it is “a premium learning experience”, which not only used the upmarket facilities of The Corinthia, but also saw class sizes capped at 15 students, giving the attendees more chance to interact with the teacher. “For example, if it’s a Rioja Gran Reserva, it will be the best I can get and from an old vintage – I don’t do shortcuts,” he added. Recalling that he can see the market for wine training in London “growing a lot”, he said that he wanted to tap into this opportunity, and “grow here”. As a result, he is now running competitions on Facebook on a monthly basis that offer anyone the chance to win a free WSET Level 2 course at his school. Commenting more generally on what his students enjoy about formal wine training, he said that his receives the most amount of positive feedback for the WSET’s ‘Systematic approach to tasting’. Such a view was expressed last month when the drinks business staged a roundtable event to celebrate 50 years of the WSET in London. Speaking at that event, CEO at Enotria & Co, Jon Pepper MW, commented on the power of this approach to sampling wine. He said, “The WSET, with its systematic approach to tasting, has created a more homogenised way of talking about wine”. “This is important with a subject like wine, which is so emotive and widely panned, because it enables wine professionals around the world to talk a common language,” he added. Click here to read a full report on the WSET roundtable, and click here to find out more about Wine Training.